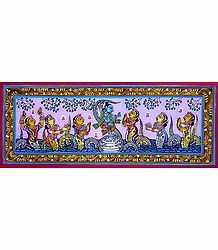 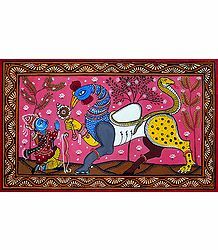 Find the best of Indian Folk art paintings in this collection from various regions of India. 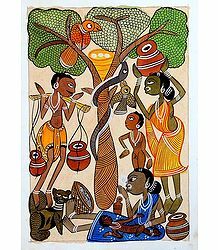 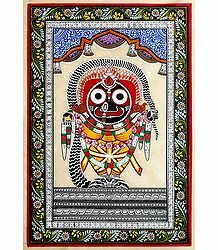 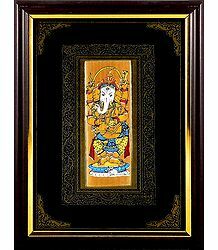 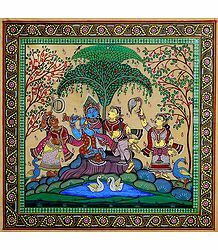 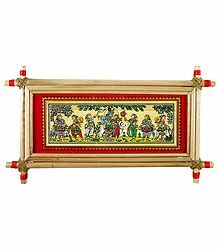 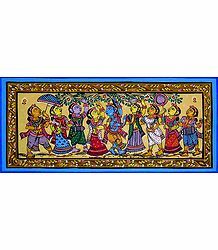 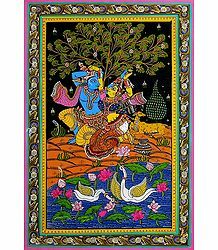 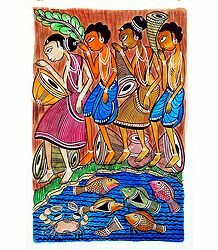 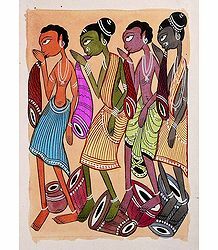 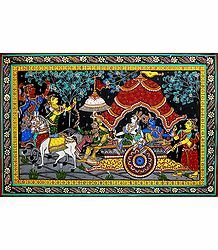 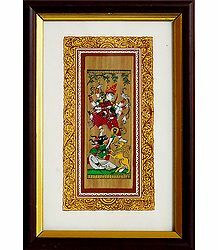 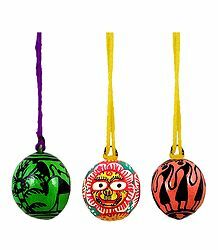 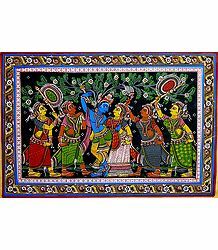 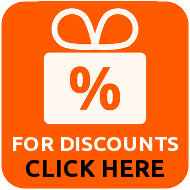 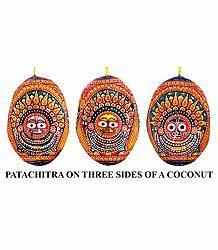 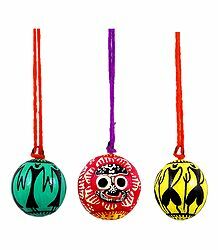 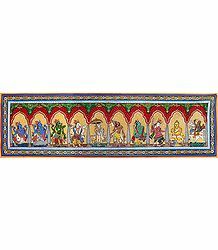 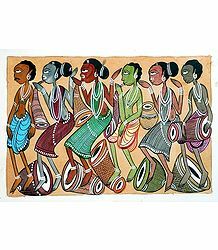 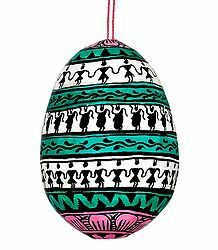 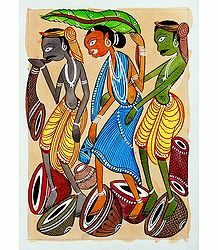 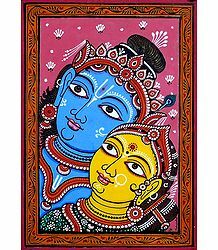 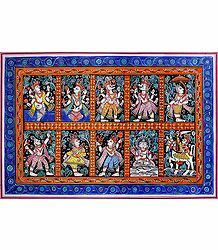 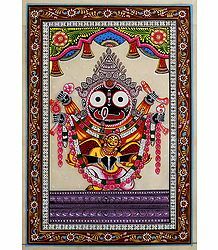 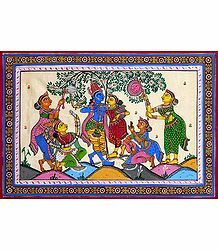 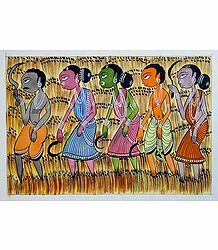 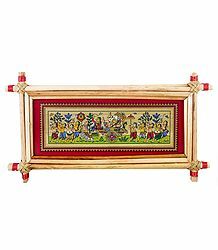 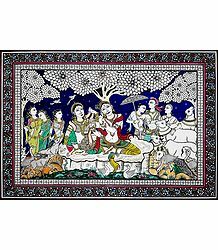 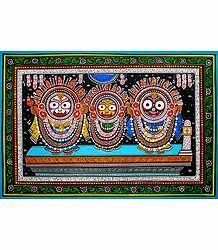 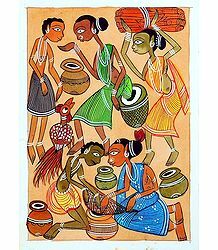 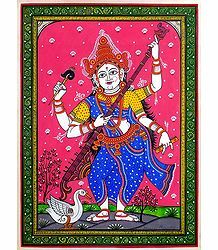 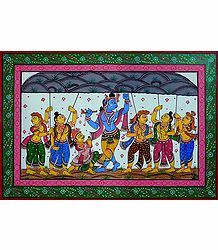 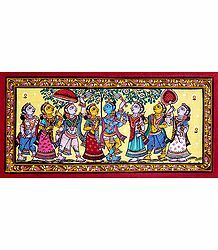 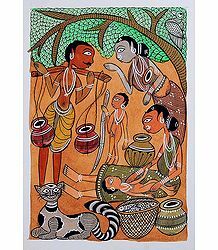 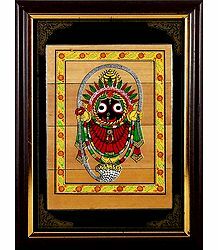 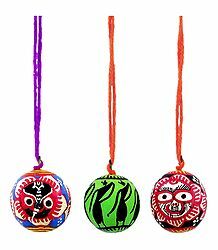 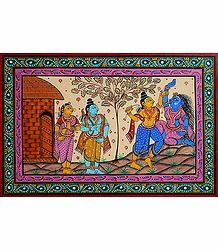 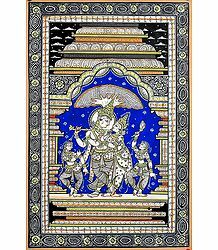 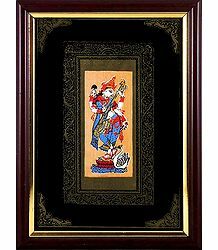 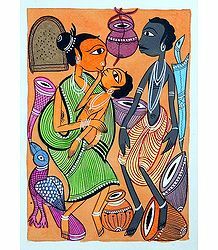 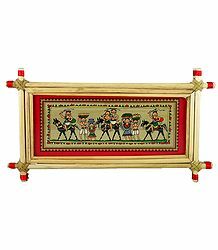 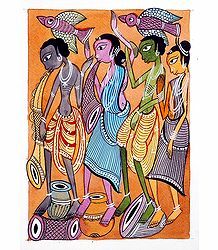 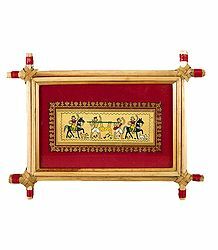 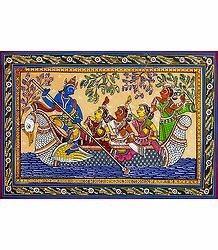 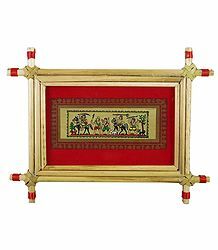 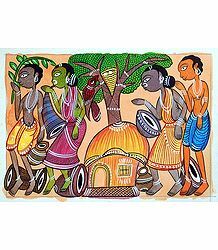 We feature Madhubani or Mithila paintings from Bihar, Patachitra from Orissa, Kalamkari from Andhra Pradesh, Kalighat and Jamini Roy paintings from West Bengal. 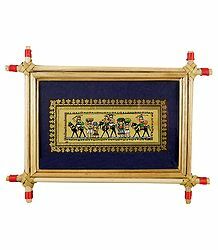 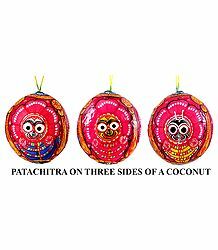 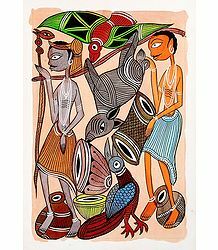 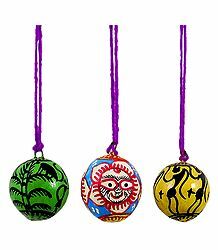 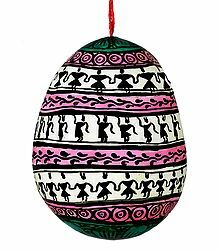 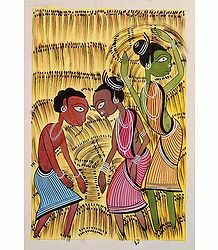 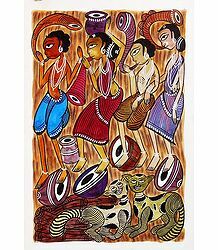 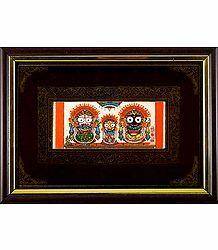 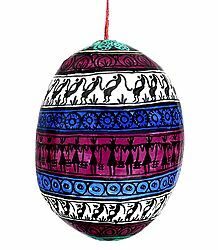 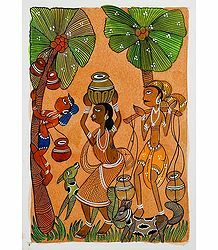 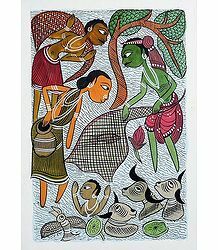 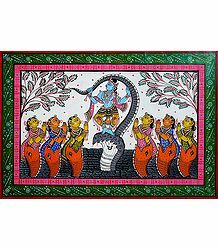 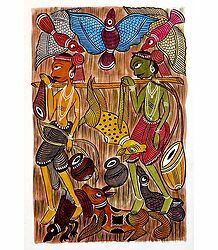 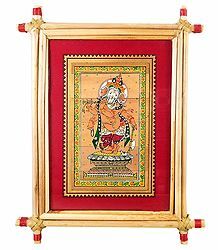 These paintings have been created by folk painters from the villages of India and are made on paper as well as cloth.